Caroling Across America In 1979, the Nebraska Theatre Caravan began touring the late Charles Jones’ original version of A Christmas Carol. And now in 2017, it is still going strong! If you are like me and unable to travel to New York City to see your favorite shows, you delight when television networks produce live musicals (Hairspray, Grease, The Sound of Music, and the upcoming A Christmas Story). It is much more difficult, however, to see plays. Two of the four plays nominated for Best (new) Play in 2017 were written by women, an honor not often seen on the Great White Way. 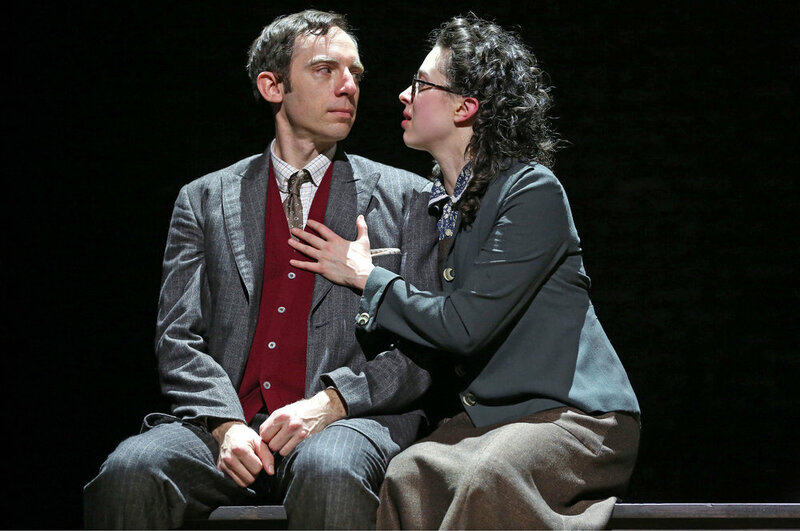 Pulitzer Prize winners Paula Vogel and Lynn Nottage debuted their plays (Indecent and Sweat, respectively) on Broadway just last year, despite their many accolades. This distinction was noted by many in the aftermath of a presidential election fraught with sexual assault allegations and in a culture of gender inequity. While Indecent and Sweat were well received, they both closed shortly after losing the Tonys. This is not uncommon for plays - Oslo (the winning play) received a few more weeks of good ticket sales and subsequently closed. But, what to do when the play or musical you're desperate to see closes before you have a chance to travel to the Big City? You'll be delighted to know that PBS holds a program called Great Performances, presenting concerts, musicals, drama, and even dance. The videos appear online for streaming for a short time, so make sure to use your time wisely. Personally, I plan to catch Indecent, performed on Broadway, before it expires on December 1st, 2017. I sit at a table with five other women and one man. I fidget with the papers in front of me, aware that no matter how prepared I am, this meeting might not go my way. I had told them, the other board members at this community theater, that I had something to discuss. Their eyes turn to me, and suddenly I’m nervous among friends. Todd Glass's stand up performance was nothing short of interesting. Todd Glass tells jokes, stories and occasionally makes things up on the spot. He took a second of his time to answer a few questions for us. And we would like to give a big shout out to his intern Aaron Simons for helping with writing down Todd's answers. Christine Vartoughian interviews Mya Kagan founder of The Future is Female theater festival, which local theaters around the country have actors perform shows written and directed by women. "Instead of Women's History, we celebrate Women's Futures"